Salt crystals can act as a template for the growth of thin sheets of conductive metal oxides that are highly effective at storing energy. Using a new synthesis approach, scientists have developed a polar metal that possesses both insulating and conducting properties. Scientists have discovered that the strong force-field emitted by a Tesla coil can cause carbon nanotubes to self-assemble into long wires. Ultra-thin ferroelectric films based on hafnium oxide could produce non-volatile memory elements called ferroelectric tunnel junctions. By using a scanning tunneling microscope to image pairs of electrons in a superconductor, scientists have discovered a new state of electronic matter. Scientists predict that in certain crystal materials current can only flow through a set of surface channels that resemble an hourglass. Applying a magnetic field to a novel non-magnetic metal made it conduct 70% more electricity, even though basic physics would have predicted the opposite. A combined electrolyte and separator containing hexagonal boron nitride can allow lithium-ion batteries to work at high temperatures. 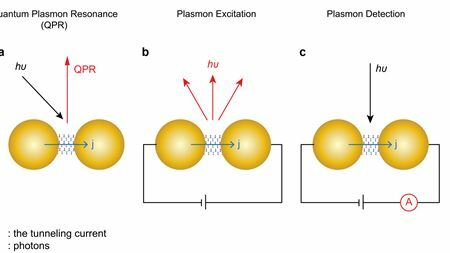 Valleytronics based on two-dimensional semiconductors. Details of the Frank Isakson Prize for Optical Effects in Solids winners 2016. By combining graphene with molecules capable of altering their structure on exposure to light, scientists have created light-responsive molecular switches. A carbon nanotube thin film has the potential to act as a thermoelectric material that captures and uses waste heat to generate electricity. Wrinkled and crumpled graphene sheets offer improved properties. Scientists have developed a simple filtration process for creating flexible, wafer-scale films of highly aligned and closely-packed carbon nanotubes. Scientists have improved the performance of a solid battery electrolyte through chemical modification and pulverization. Scientists have used computer-based calculations to show that two dimensional boron is a low-temperature superconductor. Exposure to light helps fabrics with embedded nanostructures to clean themselves.